Intermittent FMLA leave answers were changed significantly when the new regulations became law in November 2008. More Family Medical Leave questions were created as a result. Understanding how intermittent fmla works under these new guidelines has become a challenge for employers and employees alike. A lot of states in the U.S. have there own family and medical leave laws. Therefore, every employee should get as many answers to how the new intermittent family medical leave affects their rights. Review this page to learn what Intermittent FMLA means. The following are intermittent fmla answers to intermittent fmla questions. I will be updating this page as new changes emerge. Are exempt employees required to use vacation or PTO before FMLA? My husband needs bed rest for 3 weeks after back surgery. I need to care for our two children. Does FMLA cover this? How many intermittent FMLA re-certifications can an employer require? What does "medical necessity" to take intermittent FMLA? Is there something special the employee has to do to take intermittent FMLA? When can employees take intermittent FMLA? I'm exempt, can my boss use intermittent FMLA to dock my pay? I need therapy after surgery. Can I get intermittent FMLA every second Wednesday? What's the difference between reduced schedule and intermittent leave? If my boss thinks I'm abusing intermittent FMLA can she spy on me? If I have to get re-certification for intermittent FMLA, who pays? What's the minimum amount I can take each time on intermittent FMLA? Can my boss transfer me to another position for intermittent FMLA? Can I take intermittent FMLA for chronic headaches? Can my boss count my workers' comp part-day work time as Intermittent FMLA? My boss wants a second medical opinion, who pays for it? My father resides in an assisted living facility, can I use intermittent FMLA to care for him? Must I be treated by a health care professional to take intermittent FMLA? My boss is calling me while I'm on intermittent FMLA, is this legal? Can my company deny my intermittent FMLA request? My boss suspects intermittent FMLA abuse from me. Can he ask for re-certification from me and not 6 other co-workers also on intermittent FMLA? How is my intermittent FMLA time calculated? I'm coming off intermittent FMLA and can't do my job, what happens now? I have a degenerative back condition. I have 1 or 2 "attacks" every six months that requires bed rest. Do I qualify for intermittent FMLA? My boss thinks my intermittent FMLA certification form is a fake, what do I do? Hr can require employees to take vacation time before intermittent FMLA if it's company policy. However, if there is no policy the employee has the option to use PTO or FMLA. FMLA provides unpaid time for a wife to care for a husband an appropriate serious health condition. It does qualify a spouse for daycare or babysitting of children. Typically, your employer may require re-certification from your doctor every 30 days. However, if your boss has a question about your medical condition she can ask more often. What does "medical necessity" to take intermittent FMLA mean? Medical necessity requires a serious health condition that's best accommodated by a reduced leave or intermittent schedule. Intermittent FMLA leave requires the same notice and scheduling as typical FMLA continuous leave. When foreseeable the employee taking planned medical treatment has to make a reasonable effort to schedule the treatment with 30 day notice if possible. If the intermittent leave is medically necessary the has to provide medical certification to justify the leave. When an eligible employee has a serious health condition that prevents her from performing her job intermittent FMLA or reduced schedule must be granted. Intermittent FMLA must also be provided to eligible employees caring for a spouse, son, daughter or parent who has a serious health condition. Military employees are also covered under FMLA for intermittent or reduced schedule leave. Your pay can be docked under intermittent FMLA the same as using normal continuous FMLA leave. Your classification as exempt is not affect by leave. In most cases yes, after you've provided medical certification the employer can ask for another medical opinion. The boss can inquire as to why the therapy is needed every second Wednesday. If the medical reason for those dates is not justified, your boss can ask you to choose another day and time. What's the difference between reduced schedule and intermittent FMLA leave? A reduced leave schedule involves cutting back the employee's usual number of hours worked daily or weekly. The employee commonly goes from full time to part time. Intermittent FMLA means employees can take their 12 weeks of FMLA in specific or separate increments or blocks of time. Yes he can. Employers have won court cases with employees abusing FMLA. Some were videotaped engaging in physical activity they should not have been able to perform. The employee has to pay for certifications and re-certifications of continuous and intermittent FMLA. Forms for proper certifications, re-certifications and fitness for duty certificates are charged to the employee. Intermittent FMLA may be taken using the minimal interval of time tracking on the employers payroll system. However, your boss isn't required to count intermittent leave in increments of 5 or 16 minutes. If the employer uses different payroll time accounting for non FMLA leave it has to utilize the minimum time increment applied for the non FMLA leave. Under special situations your boss can reassign you to another position to accommodate reduced work schedule or intermittent FMLA. The temporary position can be different from the regular job. However, this position must provide the same level of compensation and benefits. A transfer may also affect state laws, collective bargaining agreements, (FLSA) Fair Labor Standards Act, (ADA) Americans with Disabilities Act, etc. Also, if the employee isn't required to take more medical leave than is necessary, the employer can transfer the employee to a temporary part-time job with equivalent benefits and pay. 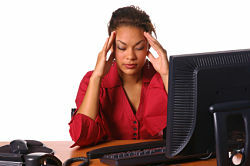 Chronic headaches are covered under intermittent FMLA. However, this condition is one of the most abused. Your boss may require very detailed certification info from your doctor. The missed time can be charged against the workers intermittent FMLA if it's a serious health condition. this will usually be the case under Workers' comp. In continuous and intermittent FMLA a second or third opinion is paid by the employer. The second opinion comes from a doctor chosen by the employer. The opinion can't come from a doctor the employee uses. As long as the parent of the qualifying employee has a serious medical condition intermittent FMLA can be taken. Yes being under the care of a qualified health care professional or doctor is required to be eligible continuous or intermittent FMLA. 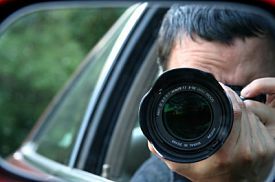 As a way to stop intermittent FMLA abuse your boss can call or hire a private investigator to spy on you! Unfortunately, some employees have used intermittent FMLA as a "defacto vacation" and courts have ruled in favor of the employer on this policy. Employers aren't required to grant intermittent FMLA or reduced schedule leave for the birth, adoption, foster care of a healthy child. The employer must grant intermittent or reduced leave if it is medically necessary as a result of pregnancy. Employees may take FMLA leave intermittently or on a reduced leave schedule (that is, in blocks of time less than the full amount of the entitlement) when medically necessary or when the leave is due to a qualifying exigency. Qualifying exigency leave is one of the two new military family leave provisions. It may be taken for any qualifying exigency arising out of the fact that a covered military member is on active duty or call to active duty status. Doing so could provide a basis for you to claim discrimination. The employer should send the report each time any employee is asked for intermittent FLMA re-certification. The employer can only count the actual leave time taken. If one day a week is taken from a 5 day work week the leave time counted would be one-fifth of the week. If the work day is cut down to four hours the intermittent leave or reduced schedule time would one-half week. If the employee's schedule is inconsistent week to week the calculation must be the average of a normal work week over 12 weeks before the leave began. Also important to note, calculation of intermittent and reduced schedule leave may be more complicated for exempt workers. The reason being many employers don't keep records of hours worked by employees under this classification. Are you able to perform the essential job functions? Do you qualify for (ADA) Americans with Disabilities Act protection? If you don't qualify for ADA protection and are unable to perform the essential functions of the job, the employee may have justification for terminating you. Yes you do. Any serious health condition of a chronic nature which incapacitates the employee is covered under intermittent FMLA. The employer can verify with the doctor that your signature on the certification or re-certification is genuine. The bottom line is always be honest about needing FMLA or reduced schedule leave. The proper handling of and compliance with intermittent FMLA has become a major area of conflict between employers and employees. According to the U.S. Department of Labor, over 15,000 inquiries from employers seeking intermittent FMLA leave answers. Unfortunately, some employees are abusing intermittent FMLA causing operational problems for businesses. The bottom line for employees is this, FMLA is a great law to help working families when they truly NEED it. It's beyond stupid to abuse it.